) coated on the surface of fabric, in order to attach many functions as waterproof, split-yarn prevention, waterproof and breathable, flame retardant, etc, greatly increase the additional value of fabric. It is widely used in daily fabrics such as umbrella, tent, handbag, raincoat, wind coat and others. ,Ltd was founded in 1992 with an area of 53,280 square meters,specializing in researching and manufacturing finishing equipment for various kind of fabric. Jiangsu Gaoqi Machinery Co., Ltd.
2.Where is your factory9 We are in Chengyang city, only 5 minutes from the Qingdao airport. We control the quality of our products strictly, from the incoming materials to the finished products. We have more than 10 years production experience, more than half market in China. 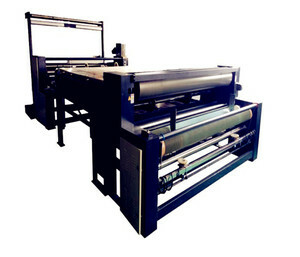 Main Features 1.This machine consists of fabric tension frame, width opening side locating, point powder head, net drying house, flattening and cooling and rolling, operator, air compressor and cleaner etc. 2. 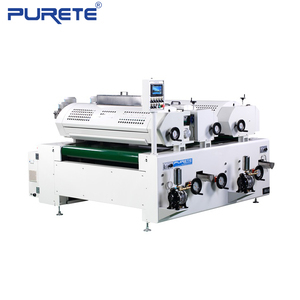 It adopts width opening fabric input structure, which highly improve the product quality. 4. Net convey drying house improve the product flexibility. 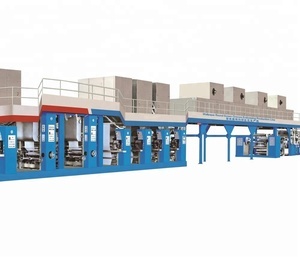 Main Description fabric pvc coating machine : JYT-B fabric pvc coating machine is suitable for producing double-side tapes, duct tapes, double-side sponge adhesive tape, clean adhesive tape, masking adhesive tape, Alu. Main characteristic of fabric pvc coating machine : 1. An AC converter control is used for both speed and quantity of glue feeding for which both automatic synchronous tracking and manual control are available. 4. Collocate the precision metric gear, make it more steady to produce the adhesive. Hangzhou Saishun Digital Technology Co., Ltd.
,Ltd &bull; We are a professional manufacturer for 18 years to produce machines,also we got CE certificate for our products. &bull; We are special for Hot Melt Coating Machine series. They will help us to installing and trainning for our indian customers,also the service backup. Controlled by PLC,man-machine interface is easy to operate. The above product photos are coming from main production. Thanks and the first cooperation to be expected. *** Extrusion Coating Machine for Nonwoven Fabric *** 1. Introduction : Nonwoven fabric and woven fabric coating is a major part of extrusion coating in the market. 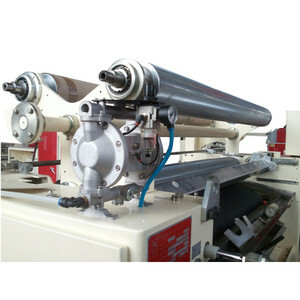 Equipped with two or three extruders, the machine can work for sandwich laminating or double-sided laminating. We also are able to apply some processing like pre-heating, dehumidifying, corona treating to fabric before coating, and make the high level of materials bonding. Dongguan Yong Gao Machinery Co., Ltd. I was also impressed by Yonggao's engineering team, they have provieded good proposal to design the machine. US CUSTOMER: We purchase the laminating machine line from Yonggao, their engineer have come to help us assembly the machine. They also give training to the workers, so they can operate the machine. 4. When warranty date expires, lifetime maintenance service is provided. Price governs while the quality is the same. Service governs while the price equals. 2.It is provided with anilox roller plus blade for coating mode, and also provided with many selection opportunities of anilox roller with various coating amount. It is advantageous in strong wind-exit and wind entrance, helping drying thoroughly. 6.Solenoid operated valve controlling is adopted for Anilx roller and drawing roller. 4,High precision alloy steel coating die and high exactitude gear pump ensures high quality coating . So choose us, equaling to choose the comp- etitive price and stable quality both. And our price will lower than the trade company because we are manufacture. Wuxi Haofan Coating Equipment Co., Ltd.
Qinzhou Hongfat Hardware And Machinery Manufacturing Co., Ltd.
Alibaba.com offers 47,558 fabric coating machine products. About 8% of these are coating machines, 1% are other packaging machines, and 1% are metal coating machinery. A wide variety of fabric coating machine options are available to you, such as cartons, case, and film. You can also choose from apparel, textiles, and commodity. As well as from wood, plastic, and paper. And whether fabric coating machine is coating machine, multi-function packaging machine, or packaging line. There are 47,508 fabric coating machine suppliers, mainly located in Asia. The top supplying countries are China (Mainland), Taiwan, and India, which supply 99%, 1%, and 1% of fabric coating machine respectively. Fabric coating machine products are most popular in Domestic Market, South America, and Africa. You can ensure product safety by selecting from certified suppliers, including 3,473 with ISO9001, 2,720 with Other, and 316 with ISO14001 certification.